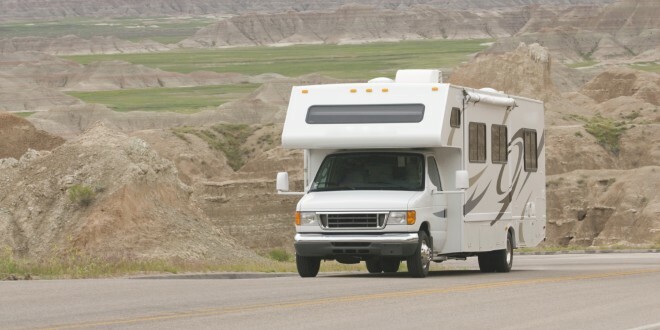 The recreational vehicle lifestyle—traveling the country and taking your homes with you—has some appealing advantages for retirees, but also one significant problem: How do you get your mail? That’s where South Dakota Mail Forwarding aims to help. The Chamberlain business receives and forwards mail for its clients and can also help those without a permanent home establish residency in South Dakota. Most of the clients of SD Mail Forwarding are full-time RVers. They’ve retired, sold their homes, bought an RV and travel around the United States. Clients pay a fee for the mail forwarding service to receive their mail. The business collects and sends the mail on demand or on a schedule to wherever the client chooses—sometimes to a general delivery address. “I have, like, a little post office within my office,” said April Reis, owner of SD Mail Forwarding. The process to set up a mail forwarding service for a client is quite simple, she said. All it takes is some paperwork between the client, her business and the post office. Once an account is established, clients can take a step further and claim residency in South Dakota, primarily for the tax benefits. “South Dakota has much better taxes,” she said. And, to answer the most-asked question: Yes, the service is legal. SD Mail Forwarding isn’t the only mail forwarding service in South Dakota, but, she said, some clients like the small-town atmosphere of Chamberlain and use many services the community offers. Most the traveling retirees with the mail forwarding service tend to head south in October. A majority go to Texas and Arizona for the winter, though a few go to Nevada, Florida and California. “They said when the frost starts to hit the ground, that’s when they start heading south,” she said. May through September is the business’s busiest time forwarding mail while the full-time RVers travel the country. Some also volunteer and work, particularly in campgrounds like state and national parks. “A lot of them, even if some of them are working, it’s not per se for the money but they want something to do,” Reis said. Previous: Decision-Makers Say Your Project Is Too Risky? Redefine Risk.